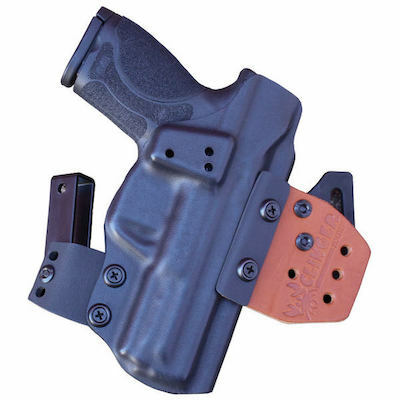 Made in Fort Smith, Arkansas, Walther Arms have always aimed to please law enforcement agencies, sport shooters, and concealed carriers for years. Their Walther PPK/S is sure to be a star with its compact 3.3 inch barrel and compact frame—which make this pistol perfect for deep concealment in our Walther PPK/S concealed carry holsters or a light back up firearm. This pistol has the 1968 “sport version” design, whereas the PPK has the “legendary 1931 design” according to Walther. The PPK/S comes in .380 auto and has fixed front and rear sights, which can be upgraded if desired. Walther also cut the top strap with a wave to reduce glare especially for the stainless steel version of this pistol. They also have included slide serrations, in classic Walther styling, for easy manipulation of the slide (for the chamber checkers). 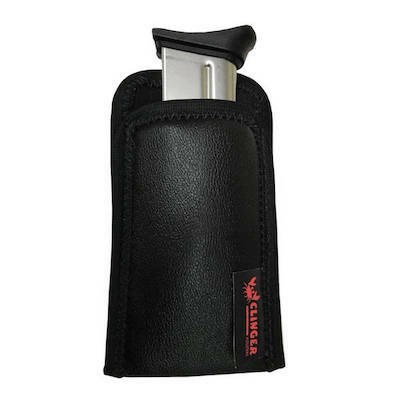 It has a beaver tail extension to help prevent injury and to create a comfortable and stable grip. For safety, the PPK/S comes with a manual safety within easy thumb reach, which engages a firing pin block. The magazine release is conveniently placed for simple thumb operation as well. The PPK/S features an internal slide stop to make this pistol super sleek, reducing the likelihood of external snags. 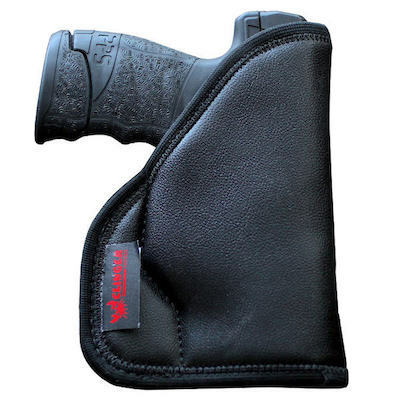 The grips are made of black polymer with Walther’s standard, ergonomic grip checkered design to create a secure grip. 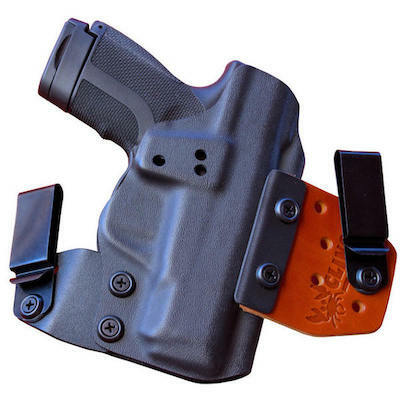 It comes with two 7-round capacity magazines—one extended for larger hands and one flat for smaller hands and enhanced concealment. The trigger is both single action (SA) and double action (DA); the SA trigger pull is approximately 6.1 lbs and the DA trigger pull is a weighty 13.4 lbs. 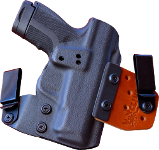 It is no surprise that this pistol is perfect for concealment with its overall length of 6.1 inches and light weight of 23.6 ounces, unloaded. 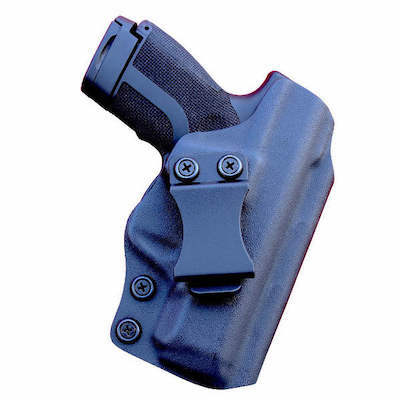 Find out for yourself with our Walther PPK/S Kydex holsters!